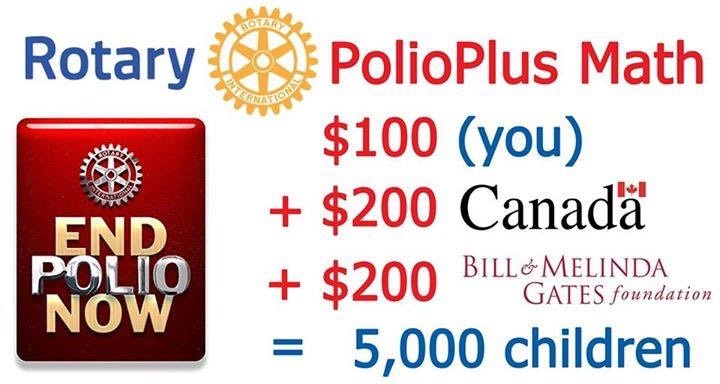 Rotarians have helped immunize more than 2 billion children against polio in 122 countries. For as little as $0.60, a child can be protected against this crippling disease for life. It is not too late to give!